Every two year, Transeo gathers all the experts in the transfer of SMEs during the EU SME Transfer Summit. This is the meeting place for professionals, advisors, matching platforms... but also academics and semi-public and public agencies in charge of promoting and supporting transfer of businesses. Policymakers at regional, national and European level were also present to discuss the priority challenges for more efficient SME transfers in Europe. The 2018 European SME Transfer Summit took place on 17th and 18th May 2018 in Luxembourg and was co-organized by Transeo (EU Association for SME Transfer) and the Luxembourg Ministry of the Economy, the Chamber of Commerce Luxembourg, the House of Entrepreneurship, SOWACCESS and the Luxembourg SNCI. 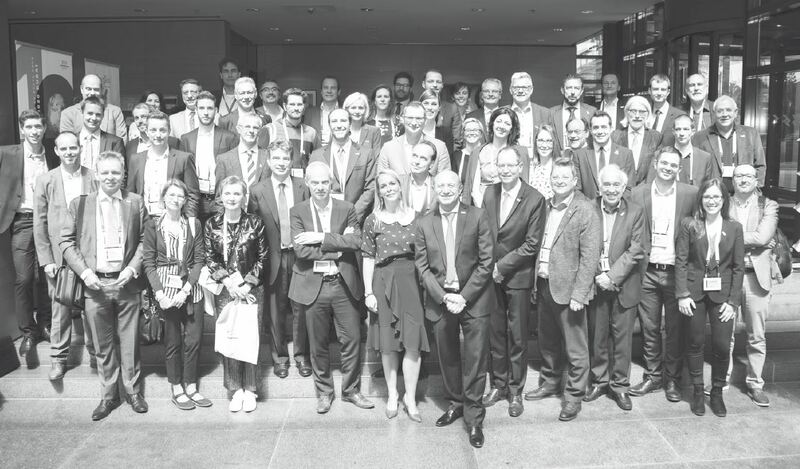 This 5th edition of the European SME Transfer Summit was a real success and achieved to gather more than 200 attendees, who took part to many workshops, conferences, roundtables and networking moments. The success is even more confirmed by our satisfaction survey that showed that 95% of participants are very satisfied and wish to attend a 6th edition. That is why the 6th edition of the European SME Transfer Summit will take place in 2020 ! More information about this will follow soon. Link to the report here! Link to the full infographics here!